Home / Posts tagged "Dellorto carburettor rejetting"
Last weekend we had Dave Stewart’s TVR here on the rolling road for setting up after its recent engine rebuild. 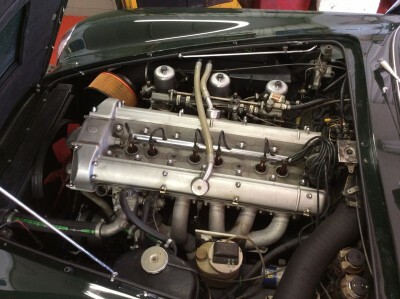 This week we saw another Aston Martin for setting up on the rolling road, this time a DB6. This DB6 is using SU carburettors which we rejetted, and then set the ignition timing. A typical day at Motoscope. Just another typical day here at Motoscope, Rover SD1 back in for final tuning on the rolling road now the engine has got some miles on the clock, Fiat in for cam belt & water pump and E-Type is here for its annual tune up on the rolling road. Tel: 01609 780155 for all your rolling road needs.